So this party happened in June. And we’re just getting the pictures up now. Better late than never, right? Have I mentioned that I love it when Jordan and I have the chance to throw parties together? Since there is this giant, pesky ocean between us, it doesn’t happen much. But when we are together, parties are pretty much a guarantee. This summer was no exception. When my fam went to visit Jordan’s fam in the middle east, we threw an Oh Snap! 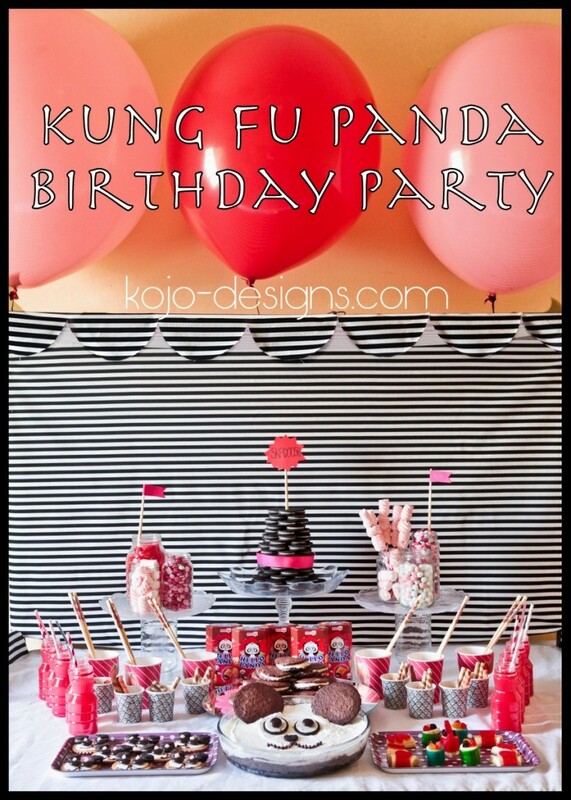 photography birthday party and also this Kung Fu Panda birthday party. It was a joint Keadryn-and-Burke birthday bash (Kead turned 5 just a couple days after Burke turned 4) and we had fun trying to come up with something both of them would love. This theme definitely fit the bill. Though there are some significant deficits in the accessibility of party supplies (particularly cardstock), we both love the way this party turned out. And- bonus- so did our kids! The authentic spring rolls (made by a friend of theirs who is from China) were the highlight! 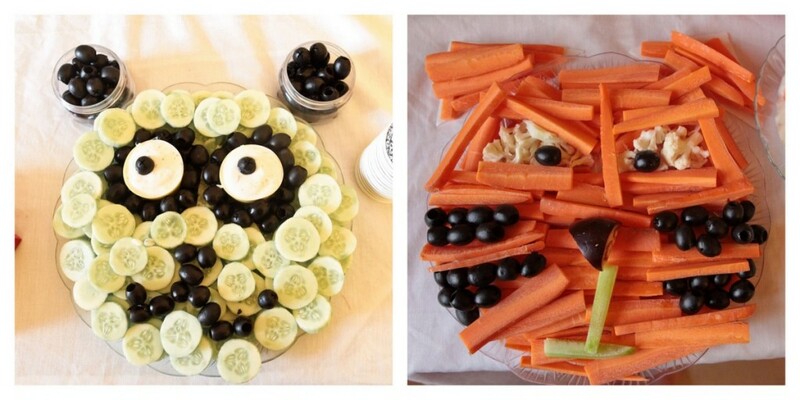 We also served fried noodles, veggies (don’t you love the panda/tigress veggie trays? 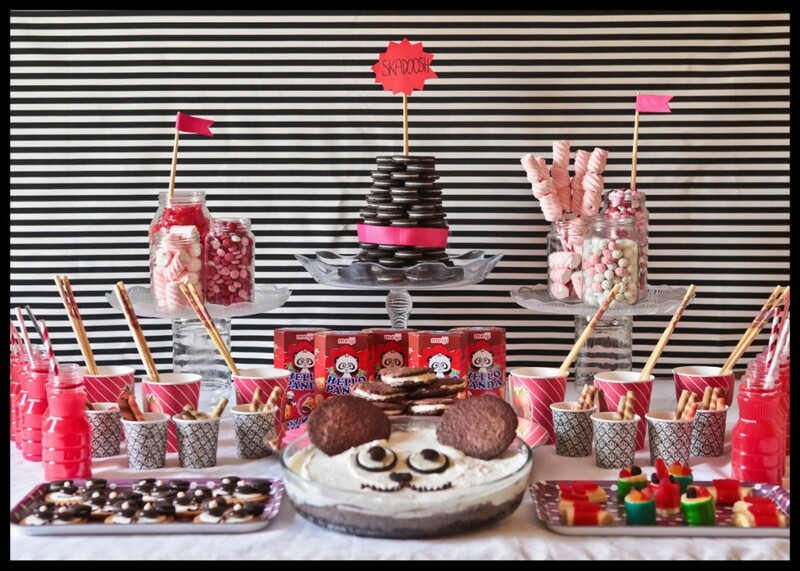 ), an oreo cake made into a panda face, panda cookies, a tower of oreos, pirouette sticks, whoopie pies, fruit-roll-up-and-Swedish-fish ‘sushi,’ and an assortment of red, white and pink candy. 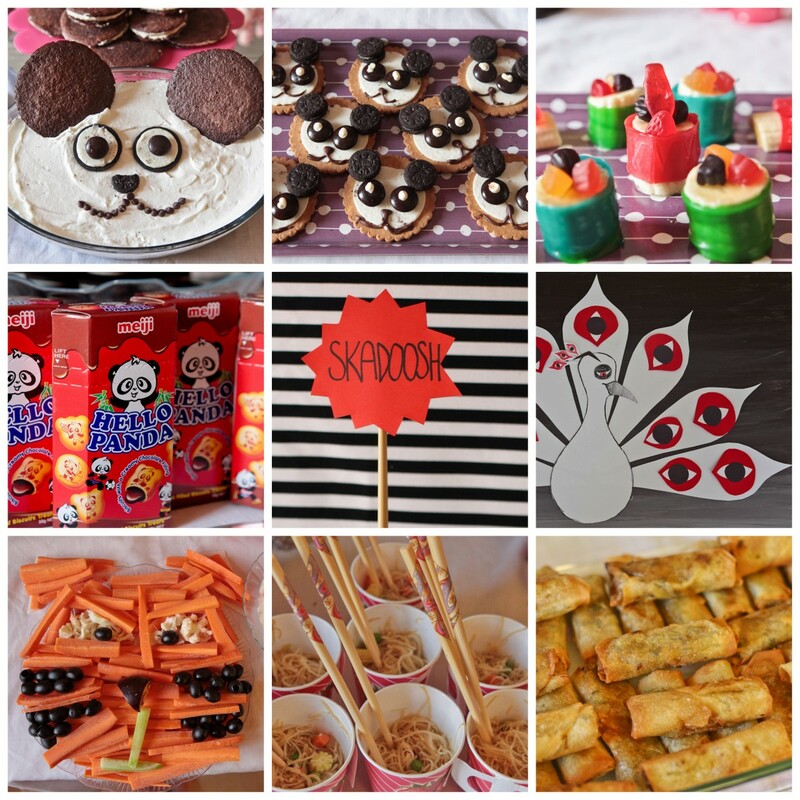 Ikea’s black and white striped fabric was perfect for our panda party. After cutting a scalloped front edge, we made a little market-esque awning to showcase all of the panda-y treats (Burke and Keadryn loved this, by the way… the kept calling it their ‘candy store’). 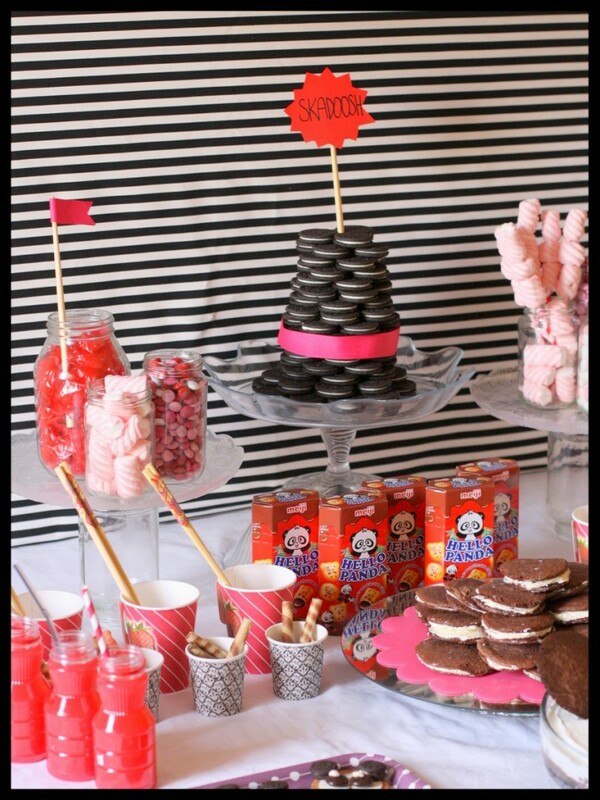 Add a few giant balloons and our panda party set up was complete! 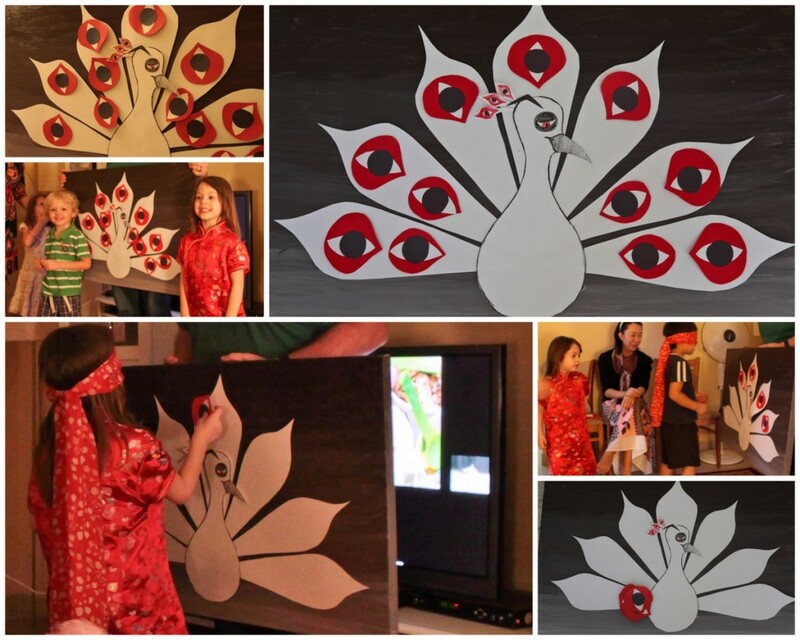 The night before the party, Keadryn threw us a curveball and told us that a birthday party isn’t a birthday party without “Pin the Tail on the Donkey.” So, we made our own version and did “Pin the Feather on Lord Shen” (the peacock villain in Kung Fu Panda 2). The little party guests loved this game (well, except Burke, who apparently has something against being blindfolded). Hello Panda cookies are some of my nieces’ favorite treats (they’re cream filled cookies with panda’s stamped on them, if you’re not familiar). Since they fit the theme perfectly, we gave away individual boxes as the favors. I’m not sure how easy they are to find worldwide (they have them at their grocery store in the middleeast), but I know World Market carries them. Looking through these pictures makes me miss summer, and warm weather, and my nieces (and my sister!). Perhaps we’ll start working on our next joint-party-hostessing-venture (Jord and her family will be home for Christmas) sometime soon. you had me at oreo tower. be still my heart. 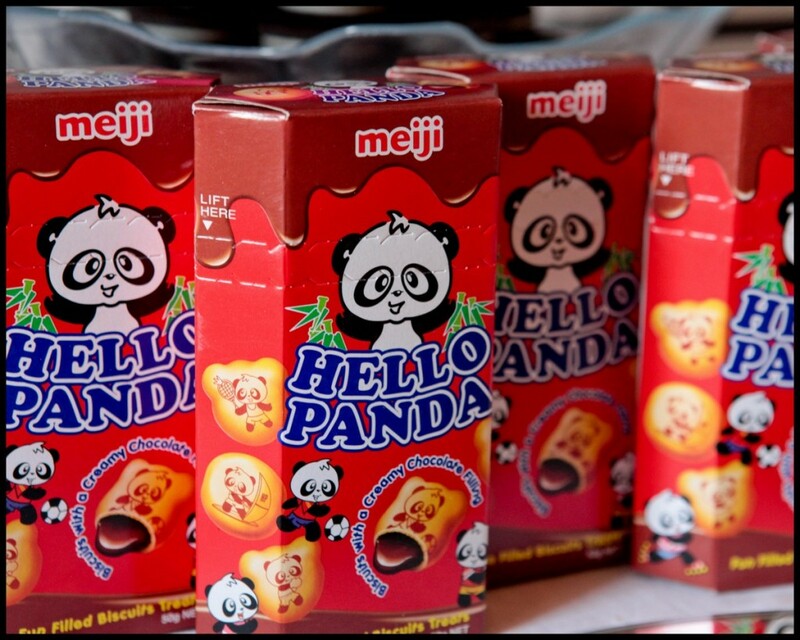 i’ve bought the hello panda cookies at 5 below too. haha- dayna, just one more reason we’d be good friends. I LOVE oreos. love them. hello? blog stalker much??? ha. i would love any judging sheets you would be willing to pass along. i’ll definitely take you up on that offer! Thanks Andrea! 🙂 Seems like there are lots of Hello Panda fans out there- I just saw some Halloween ones at Target! Thanks Roma! The list is under ‘menu.’ Hope that helps!